Warmer weather is coming as spring approaches and most of our air conditioners have not been used as much thanks to cooler temperatures. Here are a few tips to check on your air conditioning system before the beginning of this spring season. Replacing filters is an easy task homeowners can perform themselves without the help of a professional AC technician. It is recommended you change your filter at least once a month to keep your air conditioning functioning properly. This has the added benefit of increasing air quality which ranks as one of the most influential factors on our health. There are different types of filters to choose from. There are fiberglass filters that only last a month and HEPA filters that can last up to six months and be cleaned with a vacuum nozzle. Take the time during your spring cleaning to clean your air vents. If you notice anything unusual while cleaning your vents or your system is not functioning as usual, contact an HVAC professional and schedule a checkup. Regular air conditioner maintenance can be done annually or semi-annually and means improved system performance and the extended life of your system parts and equipment, as well as prevent costly and inconvenient breakdowns. 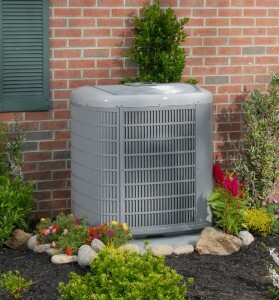 The easiest way to make sure that your home AC maintenance is done correctly is to have it performed regularly by a qualified air conditioner specialist. Call us at 941-778-5622 for more information about HVAC maintenance plans and schedule your pre-season inspection.